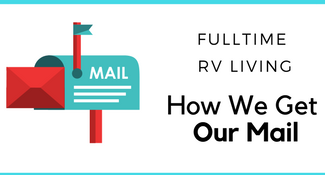 As a full-time RV family, we have to get the best bang for our buck and that’s using our Thousand Trails membership. I’ll walk you through what it is and how you can use it, while you tour the country. Now we love our free camping sites and Thousand Trails is kind of like free camping but with yearly dues. 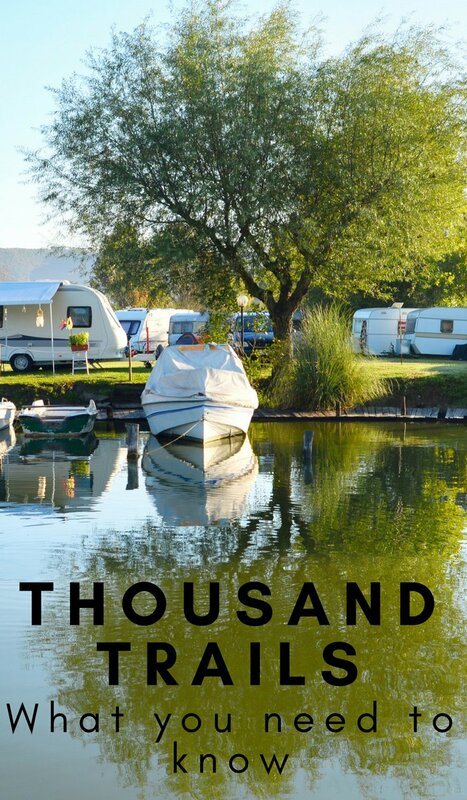 Perhaps one of the most important details of a Thousand Trails membership is that it’s the largest RV resorts and campgrounds provider in the good old USA. They actually have over 80 locations in North America alone. Thousand Trails has over 100,000 member families. The great thing about Thousand Trails is that they’re located in some of the most beautiful places on earth. 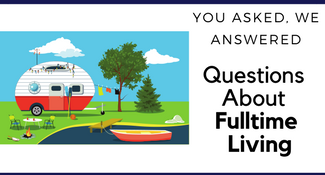 Their campgrounds have the ability to accommodate almost any kind of RV out there. 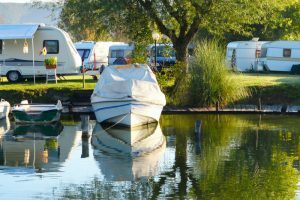 There are two kinds of Thousand Trails memberships, the zone pass, and the upgraded membership where you have access to all their campgrounds. Let take a look at both. Something you should know about Thousand Trails is that there are five zones. Each zone covers specific campgrounds. Here are the zones and how many campgrounds they cover. If you’re a full-time camper, then this camping pass is going to make a lot of sense to you. When you purchase the pass, you can camp for the next 12 months with no nightly camping fees. You pick one of the 5 zones for $575 and then add an additional zone for $49. You can add an additional 100 campgrounds for $199 with The Trail Collection. I call this camping all year on a serious budget. If you plan to do a zone pass watch for their buy one zone get a 2nd zone free sale! This is the membership we have. You have to buy this membership it’s generally a few thousand dollars, but they do allow you to make monthly payments. You also have a yearly dues payment to make. But this gives you access to all their campgrounds, no zone pass required. You get access to their online reservations system and it’s so easy! They also have the trails collection with is a $199 a year add-on and so worth it because it will include the encore resorts. Now is this really worth it? We pay $684 yearly which includes the trails collection. 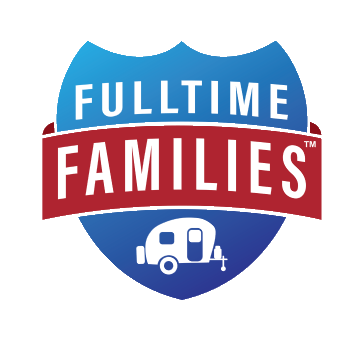 Now think about it if you travel fulltime, a monthly rate at a campground is $600 a month or more. But think of it like this as a full timer we camp 365 days year. 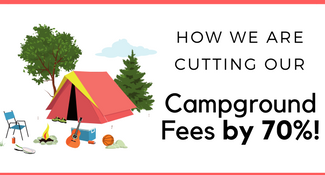 If you hop from one Thousand Trails park to another all year you are only paying $1.87 a day for the campground. 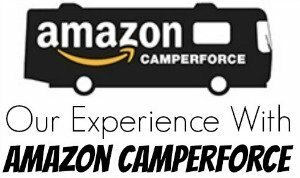 Now I will admit we also use a few other camping memberships and we used our Thousand Trails Membership for 178 days last year. So our dues equaled out to $3.84 a night for camping and for us that is TOTALY worth it!